Kostomukshsky State Natural Reserve is located in the territory of the Republic of Karelia within Muezersky and Kalevala district. Its total area - 47,569 hectares. The reserve was established in 1983, December 14. Throughout the year, on the reserved territory is dominated by the mild climate, the formation of which affects the warm air brought from the Atlantic Gulf Stream. Winter snow and relatively warm: the temperature rarely drops below -10 C. The snow cover is formed in November and lasts usually until early April, at least until the beginning of May. In combination with a comfortable temperature and flat landscape it creates perfect conditions for winter sports. Spring begins in May, during the active migration of animals and birds. 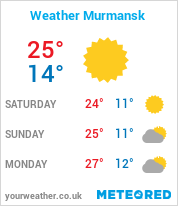 In summer the temperature is 15-17С. In late August, has already felt the breath of autumn, and in the first days of September have already appeared the first frosts. Relief Kostomukshsky Reserve is unique. Its peculiarity lies in the fact that bed of the river Kamennaya, included in the protected lands, located in the bottom of the great hollow glacial flows. Through tectonic fractures passes its upper reaches. In the lower and middle reaches of the present complex relief forms generated activity flowing waters: buttes and erosion scarps, river terraces and incised meanders. For lower current characterized by a pronounced delta on the surface of the river. In general, local topography is hilly. He formed separate heights up to 50 meters and moraine ridges. In the southern and central parts of dissected terrain and cross the parallel ridges of granite, absolute marks which in some cases equal to 300 meters. Hydrological network of the reserve is rich. The share of lakes and rivers account for 23% of the territory, which is 10.9 thousand hectares. The largest lake is Stone Lake, which has tectonic-glacial origin and covers a fifth of the protected land. Stone Lake area is 105.5 km2. Its width - 15 km, length - 23 km. The coastline is characterized by the choppiness. Kostomuksha state nature reserve and its wildlife. The fauna of the reserve is largely typical of the Northern taiga. So, contains weasel, marten, squirrel, wolverine, lynx, moose, fox, wolf, hare, bear. Among all animals especially interesting northern forest wild deer, which breeds on the islands of Stone Lake. Only in the Republic of Komi, Arkhangelsk Oblast, Republic of Karelia to keep this kind, if we are talking about the taiga zone of European Russia. In need of protection and the settlement of the Canadian beaver. Local avifauna is represented by the following species - gray goose, whooper swan, hazel grouse, capercaillie, osprey, golden eagle, white-belohvot.